Are you a night worker who needs to sleep in the day time or do you have a baby/child that can’t sleep when everywhere is a bit too quiet and the slightest sound gets them jumpy? Have you ever had that ringing sound only you could hear? Or do you have trouble sleeping at night because you keep picking up on sounds? Sometimes what you need is more noise to cover up those annoying sounds. Now noise doesn’t always have to be discordant, it could be a consistent set of pre-recorded sounds with sound waves that span a wide range of frequencies, or a fan-generated white noise using natural air thereby creating soothing sounds like the whooshing of wind blowing through trees or the rushing sound of a waterfall. Thanks to technology, there is a machine to reproduce those types of sounds and its called the top rated white noise machine. I can hear you saying, isn’t that device for testing audio equipment? 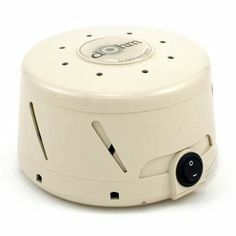 The white noise machine was created to harness different properties of sound that can be used to produce sleeping aids and power nap machines to treat hearing and sleep ailments as well as for making products for masking of sounds. It can be used by psychiatrists using sound therapies for their patients or by people suffering from insomnia, anxiety or tinnitus (a symptom of noise-induced hearing loss, heart, and blood vessel disease, ear infection, brain tumor, etc.) The versatility of this device cannot be over emphasized, and luckily, it comes in many models and brands with unique customizable features to narrow down your choice. Let’s find out more about this amazing device, shall we? you need to check if the device runs on electricity only or if it comes with USB plugs or a batteries option as well.This is important because it determines portability which is necessary if you decide to take the device on the go or to a place where there is an irregular supply of electricity. The challenge of using battery powered white noise machine is that it might be costly to maintain even though it might be more portable. On the other hand, you can always get rechargeable batteries to help save cost in the long run. But for home use, a wall socket powered white noise machine is your best bet. Some devices come with a timer that allows you determine how long the sound can play by pre-setting it on when to go off automatically. This will enable you to preserve the lifespan of your batteries. While at other times, the device timer may be set such that the pre-recorded sounds to play for a specific amount of time. Hardly will the device play all through the night. Either way, this feature ensures you don’t have to worry about turning off the device in the middle of the night. Depending on what you need it for, like power nap or hearing aids, you’ll have check that the device you choose has the variety of sounds that you need. The range of sounds could include melodies, and animal sounds like birds tweeting and crickets in the night, ambient sounds, heartbeats, e.t.c. just ensure the sound is appealing to you and truly random in its pattern. It’s been said that the best machines are the types that produce meaningless non-repetitive sounds because if the sounds are meaningful, the chances are that you’ll spend more time listening to it rather than allowing it block out other sounds. So the more variation of sounds, the better. some devices come with low volume while others have a high pitch, so be sure to check for volume control to enable you to adjust the sound to the comfortable hearing range you need. 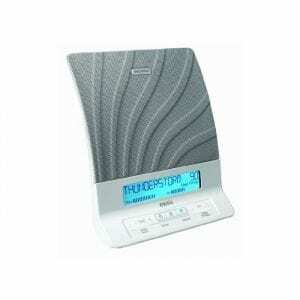 White noise machines with invariant volume are also considered to be one of the best attributes for a white noise machine especially in the treatment of sleep ailments. This feature is especially useful when trying to mask out other sounds. some devices come with a remote control that allows you operate them from a distance, while others have multiple buttons, rotating caps, or on and off switch on them. Also, some designs are bulky and may not be aesthetically appealing as others. Whatever the case maybe, ensure that the device you get fits into your lifestyle conveniently. when purchasing any device, always ensure there is a guarantee. It’s unfair to you and your pocket to get a device that packs up after a few weeks, and nothing can be done to replace or repair it and in the worst case scenario, get a refund of your money. Best suited for sleep therapy, this device has 12 sounds from water, nature which is converted into white noise when you sleep. The transition of the sound is so subtle you can barely notice it. It has a built-in timer to automatically turn it off after 30, 60 or 90 minutes depending on what time you select. It has a simple design that has an elegant dual speaker with added bass effect to ensure the sound fills up the room. Included is a remote control. 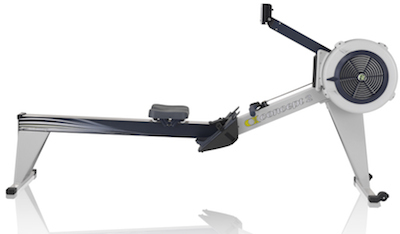 It has adjustable tone control and a LED display panel that lets you see what you are doing when in a dark room. It does not have an alarm clock neither does it read the time but it shows you timer, tone level, volume level and current sound. It weighs about 1 kg (3 pounds). With 7.8x4x8.2 dimension. There are eight relaxation tones (which are Ocean, Rain, Thunderstorm, Brook, Everglades, Summer Night, Camp Fire, and Wind Chimes) and four white noise (such as mask, calm, soothe and relax). The water and nature sounds are gradually transitioned into white noise when you sleep off. The white noise tones can handle specific issues like the mask to block out distracting sounds/external noises, the calm setting to give relief to people suffering from tinnitus. Tinnitus is the ringing in the ear or hearing internal sounds when there is no external noise., Relax function blocks unwanted room noise and soothe, has a high pitch. The superior clarity and sharpness may come across as too much when trying to get conducive sleep, so it’s imperative that the tone be adjusted to suit your need. It is great for all night therapy. It is a bit pricey. The remote control allows you to operate the device from your bed if you happen to wake up in the middle of the night and don’t want to go back to sleep. Sometimes, the volume changes unexpectedly from audible to inaudible, and the sound tends to skip intermittently. The backlight for the LED panel can be dimmed just as the tone and volume can be regulated. It’s 11 button interface might be a bit complicated and challenging to use. 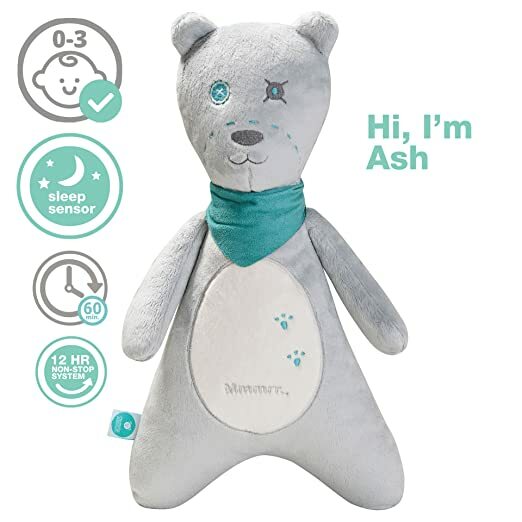 This device comes in a plush soft teddy bear form with sleep sensors and a 13 hour continuous sound option. It is best suited for babies, toddlers, and children including a day old baby. It is durable and machine washable, and the sound button is easy to remove, just unzip the teddy. It has options that allow you increase or reduce the volume such that the children can sleep soundly. As for the Sleep sensor, it is activated by squeezing quickly. Press three times, and it will switch between the 12 hours and the 60 minute mode; squeeze twice, and the white noise will be activated. If the device stops after 60 minutes of continuous play, the transition is gradual, not instantaneous. 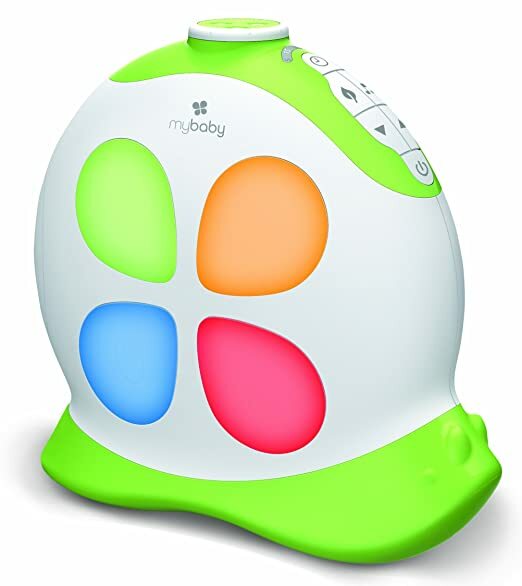 It also detects Movement or Sound from Babies when it’s off and automatically turns MyHummy back on for 60 more minutes. There are five different white noise options to choose from with sounds such as Hair Dryer, Vacuum, Ocean Waves, Falling Rain and Amniotic Fluid with Heartbeat. To adjust the volume, you only need to hold it continuously and to turn it off; you only need to squeeze it for one minute. It uses 3 AAA batteries which are not included in the pack, and it comes with a one year warranty from the manufacturers. It comes highly recommended by professionals in the field of Infant Psychology, Midwifery, Sleep Experts, and Paediatricians. It has also received Numerous Awards and Recommendations from Parenting Organizations. It is extremely soft, and the material used for the teddy is of high quality with no loose threads or fray. It has only one button for volume control and the on and off switch. Its portable and mobile. Poor sound quality. 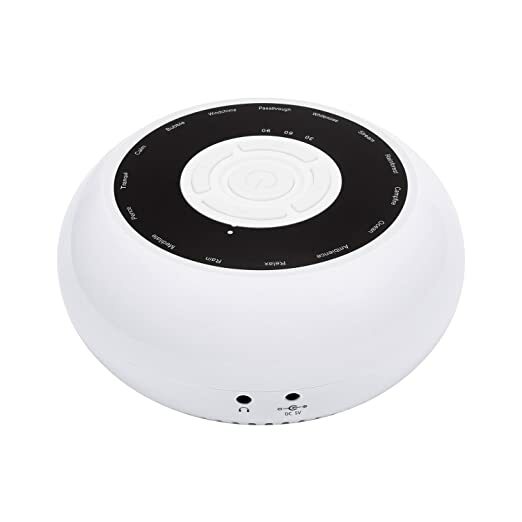 This kid friendly White noise maker machine comes with additional features that make it irresistible such as a Bluetooth speaker that allows you to connect your phone or any Bluetooth-enabled device to the white noise machine so you can play songs your child already loves in addition to the full range of white noises and pre-installed sounds it has. 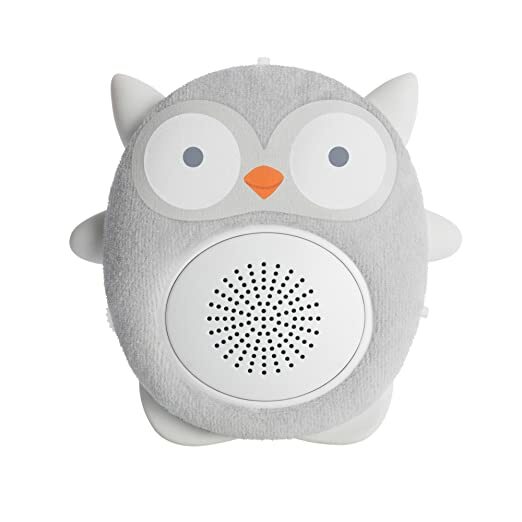 You can even record voice messages for your kids if they are the type to fall asleep to the sound of your voice. It also comes with a free voice share mobile app that has a free digital album with 16 additional tracks (12 White Noise, four instrumental lullabies) but you need to use the access code it gets it. But your device needs to be near it when using the Bluetooth connection. Since it is best for soothing and entertaining for children i.e. newborns to 3yr old, it comes with a soft chew-safe material in the shape of an owl, a bear and a rabbit. The handle functions as a clip to hook it on car seats, baby cribs or strollers. It’s legs, ears and arms are made with rubber to cushion it against accidental falls and can be easily wiped cleaned with a damp clean cloth when used as a pacifier. It is portable and perfect for that long drive in the car with the kids. It uses a micro USB cord and comes with a lithium battery which makes charging the device relatively easy. To access the preloaded sounds like the white noise, simply press the belly button of the owl. It has a 30, 60 and 90-minute timer which can also be set on continuous play all through the night. When it is on there is a bright light it emits. If you don’t like it, you can use an opaque tape to cover it. When charged fully, it can run for a week because it uses a rechargeable Lithium battery. The micro USB cord is short. 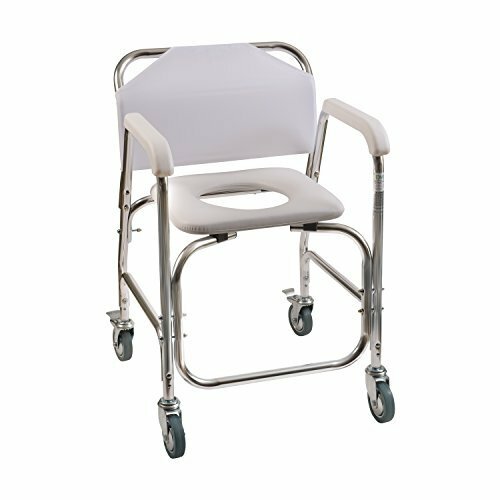 Can be operated with one hand but the push of the belly button. There is an indicator light which can draw attention when in a dark room. It is portable and can be clipped on other objects rather than just being kept on a table top. Can be paired with a Bluetooth-enabled device to increase the range of sounds. Great for calming and soothing toddlers. This device is an analog build with a simplistic design. One button for the on/off switch and for controlling tone/volume, and a twist cap on top for selecting high/low speed. The choice for turning the motor to high speed is when the device is in a noisy environment while low is speed is for less noisy environments. This device uses natural air with the help of a fan to generate a consistent whirring sound. It can be used by babies, children and adults alike. For effective sound masking of external sound from a particular source, the placement of the device is necessary. It should be placed where the most external sound is coming from. It is been called a relationship saver as it drowns out the snores of loved ones and the noises of obnoxious next door neighbors. It is wall-socket powered device that uses 120 volts with its 2-speed electric motor and asymmetrical fan. It has a one-year limited warranty. This warranty does not cover intentional or accidental damage to the equipment or faults developed when used overseas. 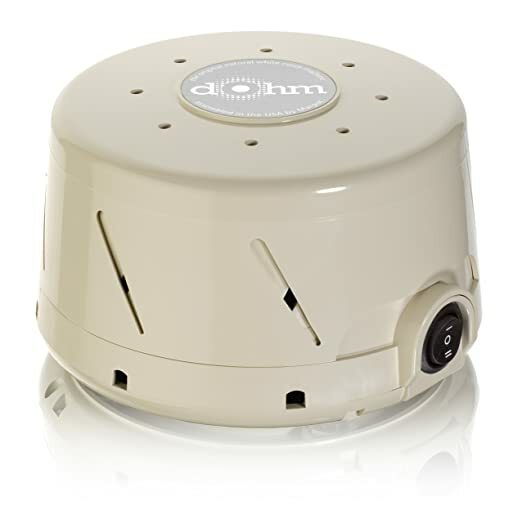 The National Sleep Foundation dubbed it the Official Sound Conditioner because, for 50 years, the Dohm has been the standard for white noise machine production despite being a 4th generation design (created in 1962). It comes highly recommended by most customers, so you know you are in good hands. But because it comes so highly recommended, fakes abound so be sure to check that the ID number and dates as well as where it was manufactured (Made in the USA) are written at the bottom of the device as well as the quality control sticker. It is a non-digital solution for sleep anomalies in an age of digital dependency. The custom generated sound is calming and pleasant as the sound of the rushing wind. It has no fancy features like automatic timer or alarm clock. You can send it back to the manufacturer for repairs. It is not loud enough (lacks the pitch) to mask certain external sounds like construction work. The fan does not give any rattling. It does not have a range of sounds. There is no repetitive or skipping sound since it is not generated from recorded audio tracks on loop. The tone of the white noise can be fine tuned to high or low pitch by twisting the device. This plastic HoMedics device has a motion picture projector which shows bugs and animals scenes. The timer controls the light display which is meant to engage and calms your child, and it automatically turns off at 15, 30 or 60 minutes. With the light, images project on the ceiling but can go off after 5-10 minutes if it is not being used with the sound option on a timer. For the sound, it can play continuously through the night unless you decide to set the timer for it to go off. It has a base but can be attached to a crib. It is powered by 3 C” batteries which are not included in the package upon purchase and need to be replaced when used for 7-8 hours for 2-3 months. You could purchase rechargeable batteries and use on this device to help save cost. It has ten sounds - natural (white noise, heartbeat, stream, summer night and ocean) and lullabies (twinkle twinkle little star, rock a by baby, hush little baby, Fur Elise and Brahm’s Cradle song). The dimensions of the device are 6.3 x 7.5 x 4 and it weighs 1.4 lbs which don’t make it convenient to carry around in your diaper bag. It is shaped like a snail and works best for babies age 0-12 months. The combination of light, sound and images options gives a variety for your child to choose from if he isn’t responding to sounds. It is only powered by a battery which is not very cost effective. It has a 15-30-60 minutes auto-timer The projector does not rotate, and the volume is not low. It is a motion picture projector toy. This multi-purpose device is meant to ensure you get a good night sleep with clean air. 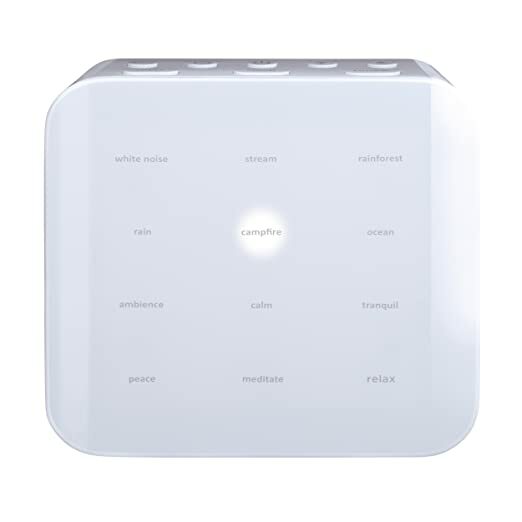 It combines sound therapy with air purification that takes care of odors, allergies, and any other air contaminant. It makes use of two timers with a fan filtering system that allow both functions to occur at different times (e.g. air purification is set to take place at 1, 4 and 8 hours time interval while sound therapy is set at 15, 30 and 60 minutes interval.) As an air filter, it is quite silent in its operation and can be placed against a wall or in front furniture because the air generated is pushed upwards from the device. There are two filters for the two timers - the HEPA filter and a carbon filter - which last for only a year, has a light indicator that signals change in filter status and lets you know when a filter change is needed. The pleated HEPA filter is a standard size filter which are inexpensive to purchase and easy to find when trying to replace the filters. The carbon filters are also easily available and can be maintained by simply rinsing, drying off and reusing to extend its lifespan. But be warned, this can only be done a few times before the carbon filters lose their effectiveness and may need to be replaced. The volume control is such that it is easy to adjust and choose any sound preference. It has only six sound therapies which are white noise, lullabies (Brahms and Schubert) and nature sounds (rain ocean and cricket). The sounds were developed by doctors, and they are repetitive and can come across as boring. They may also need to be turned up to the highest setting so as to adequately mask sounds. The LED light panel shows the status of the device but can be a bit of a nuisance at night. The matte plastic covering is aesthetically limiting in its design as it looks like an iPod and seems best suited for Nurseries when it can be used in just about any room. Its dimensions are 14 x 13 x 8”, making it quite portable and it weighs 4kg. It uses 55 watts of power. It is recommended for rooms measuring 155 square feet to maximize the air filtering option. It has a three-year limited warranty. Filter change indicator informs you to change the filter on time. The speakers are very tiny, and the sound therapy gets lost when the fan is set on ‘high’ speed. 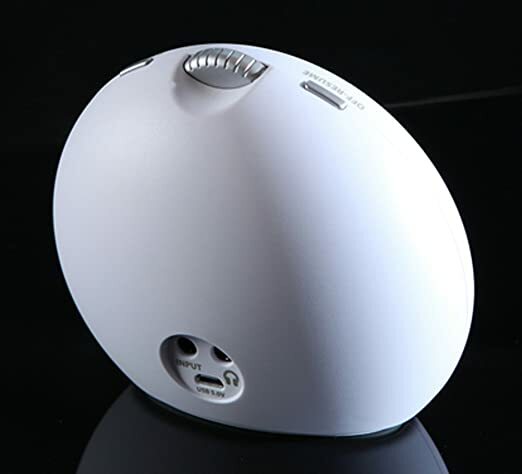 It has two separate timers for its dual functions of air purification and sound therapy. The sound can come across as synthetic which might be annoying if you are looking for realistic sounds. 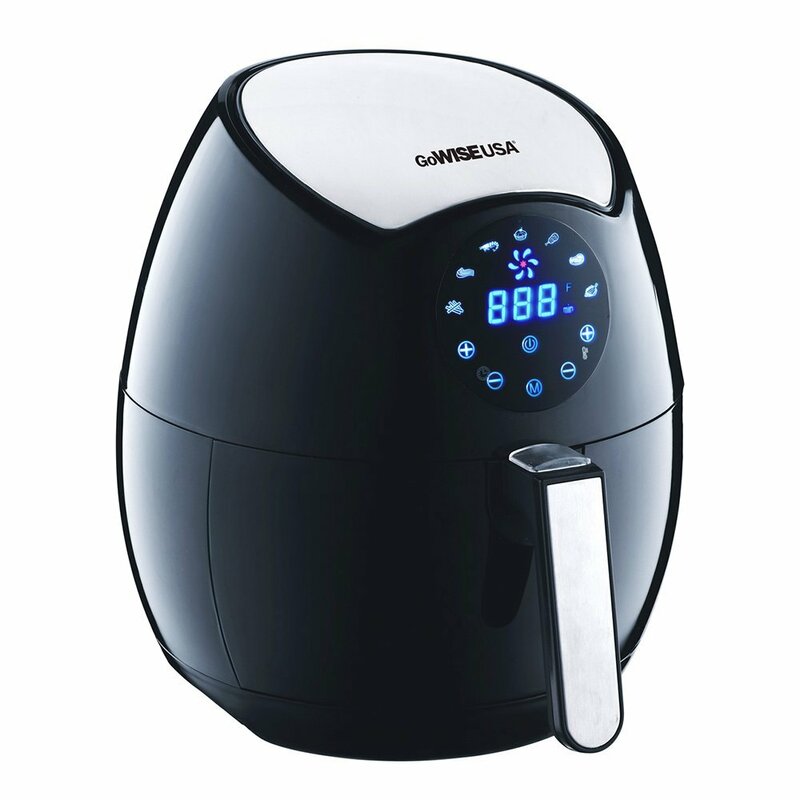 The timers are easy to set for its two stages of filtration. The HEPA filters need be replaced after 12 months, and the carbon filters need to be replaced every six months. As an air filter, it is quieter than other air filter products. It is quite expensive. The HEPA pleated standard sized filter can be easily replaced when faulty because it is not expensive. On rare occasions, they can be washed the carbon pre-filters and re-used when dry to expand their lifespan. This is arguably the king of the park as it has in its arsenal over 20 sounds (where 10 are distinct white noise, and the remaining 10 are fan sounds) which are rolled out in non-repetitive order. It is designed to generate sound without looping dynamically. 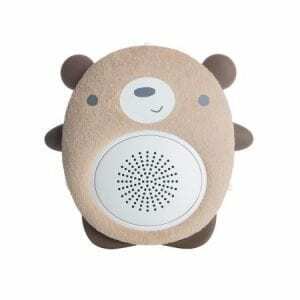 It can mask a range of sounds such as squealing or screeching cats, snoring roommates and barking dogs with its electronically generated ‘shhh’ or soft static sound. It’s sounds are random and meaningless variations of static, rushing winds or low rumbles. At it’s lowest possible volume, it can still block out external noises. It can be used in nurseries, day care centers, dormitories, hotel rooms, offices, treating tinnitus, drowning snores, sound proofing rooms for reading, clocking out noisy neighbors, yoga meditation, working lonely hours on a night shift and even sleeping during the day. It is travel size for your convenience especially since it weighs 1.3pounds i.e. less than 6 kg and uses a USB Cord and Wall power adapter for power. Also, it won’t take up space on your nightstand as its dimensions as 4” wide x 2” tall. It has a sleek design that blends into any space. It has a three-button interface that makes changing volume or noise settings easier to use in the dark without needing a display panel whose lights can interrupt your sleep. You can choose the pitch and volume that suits you. It also has a 60-minute timer which automatically turns off once the time elapses. It is perfect for both adults and infants. It is ideal for anywhere with loud disruptive, intrusive or unwanted sound. It has no built-in battery option. The volume can be turned up high enough to fill a large room even when it’s in a corner. It has no nature or water sound options. You can plug it to the mains (wall socket) to power it up or charge it with your computer using its USB cable. It is quite expensive when compared to others. It can run all night if you decide not to use the timer. Perfect for lulling your infant or kids to sleep fast without the noise of an outdated fan and for adults too. It uses digital technology to generate the sounds so you can be sure it will work hitch free for a few years even with constant use. It is small and portable, perfect for travel trips. It is powered by a wall socket using a USB cord which means you can get a wall power adaptor for the USB and connect it to the mains or you can connect it to your PC to charge. Just ensure you check the power regulations on the product and its charging point. It comes with a volume selection headphone/pillow speaker jack. The volume is on a turn dial, and the sounds can be quite soothing. It also comes with a mobile device/iPod/iPhone jack. There are no glowing lights. It has an auto timer which can be set for 30, 60, 90 minutes and continuous play. This device was designed with the help of renowned medical practitioners after results from clinical trials by experts in the field of gynecology. Your satisfaction is guaranteed with our free one year warranty. It has a one-year money-back guarantee. All the sounds sound are similar. It has versatile power requirement (both USB and Power adapter). 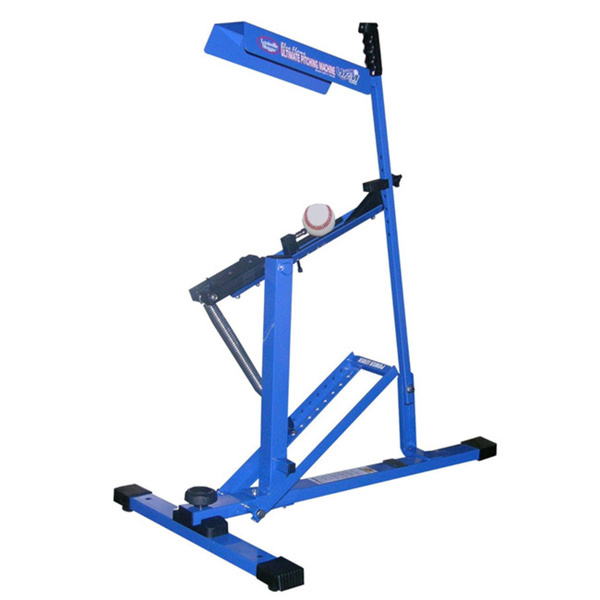 The pitch can be adjusted thereby making the sounds customizable. 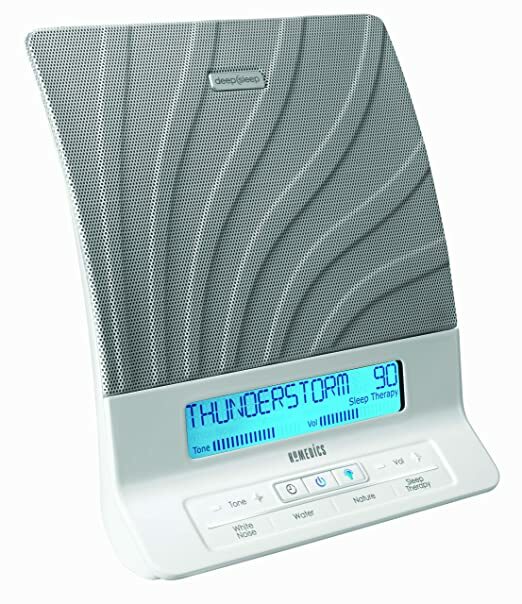 The Sharper Image Digital Tranquillity Sound Soother and White Noise Machine has the auto-off timer at 30, 60 or 90 minutes interval and the sleep mode ensures the volume gradually decreases within the last 10 minutes of any program. The brightness of the backlit Control Panel can be adjusted and comes with 4 Duracell Duralock AA batteries as backup battery even though it has an AC power adapter with 48 inches long cord and removable cushions. It has the following features - a built-in speaker and an audio-out jack for private listening with a pair of TranSAT earbud headphone headsets. It weighs 1.2 pounds and has 12 sound recordings - White Noise, Unwind, Ocean Surf, Thunderstorm, Celestial Summer Night, Serenity, Rain, Stream, Focus, Meditate And Rejuvenate. It helps to improve sleep, reduce stress and increase focus/concentration. It has a headset and audio-out jack for private listening. It has no continuous play option. It is AC powered and has backup batteries. The backlit Control Panel’s brightness can be adjusted. The chord is 48” long making it easy to place it at any distance. It gradually decreases volume during the last 10 minutes of each program. It comes with a backlit display/buttons with adjustable brightness. It also has a built-in speaker with an audio out the headphone jack. 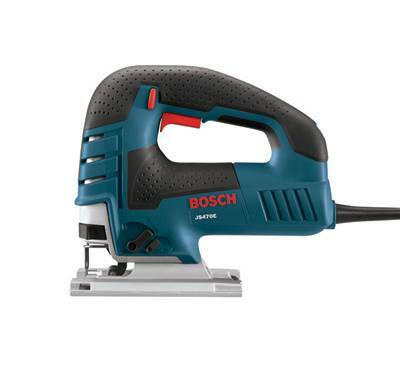 It is powered by wall socket with an AC power adapter included in the pack with no lithium battery option. It is made of plastic with 6” x 2.8 x 6.4” dimensions and it weighs 0.48kg making it easy to carry around. The 15 sound options it has are nature, white noise and water noise category (Relax, Calm, Ocean, Rainforest, Stream, Ambience, Tranquil, Campfire, Rain, Wind chime, Bubble, Peace, Pass-through, Meditate And White Noise). It has a 30, 60 or 90 minutes auto-off timer to help turn off the sound when you fall asleep. The volume is adjustable although some users complain that the lowest volume is too loud and there is a bit of static behind each sound. Also, the sounds play on a loop which can be quite distracting if you get familiar with each distinct sound. It is not only great for adult restful nights but also for babies’ room, confidential conversations and concentration when carrying out tasks too. It is designed to distribute sounds omnidirectionally. You have to select each sound by pressing the buttons manually. It has an in-built speaker and audio-out headphone jack. It has no battery option. It helps to relieve stress, increase focus and improve sleep. It has no continuous play option. It is light and portable. The sounds are repetitive. It has an auto-off timer. It has an AC Power Adapter. The need for sleep in our chaotic goal getting, paper chasing world, cannot be over emphasized. For mothers, it could be the need to get the kids to sleep through the night so you too can be well rested. For those with health issues, the need to have some semblance of sanity by eliminating weird sounds only you can hear is also the reason why getting a White Noise machine is important. Some people have had a heart attack due to sharp reflexes to disruptive sounds that sparked anxiety. Wouldn’t you be willing to do what it takes to find your calm center even if it means getting a machine to generate white noise? 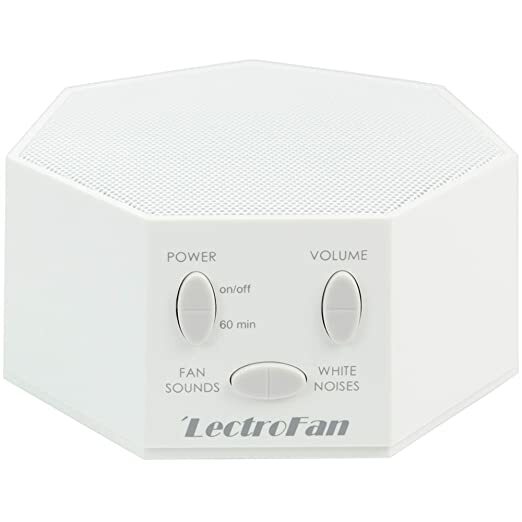 Of all the options discussed, the Lectrofan White Noise Machine stands out mainly because of two features - the fact that it can run all night and it has 20 non-loop sound therapies which are dynamically generated from an algorithm (not from a fan or motor). Not to mention it has a simple design with its 4 x 2 dimension and weighs 0.58kg making it small enough to blend into any space in a room without drawing attention to itself. It has a power adapter with plugs suited for US, UK and EU countries and can be used on any USB device. 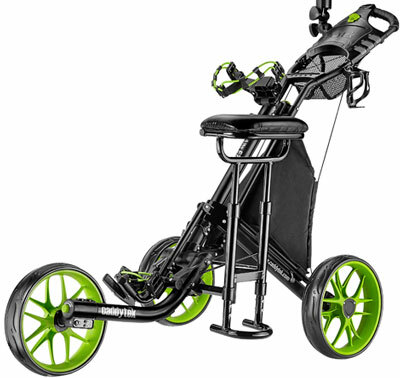 It is suitable for all age range, and it doesn’t hurt that it has a 5-star review from over 4,500 customers who have purchased the product and reviewed it. 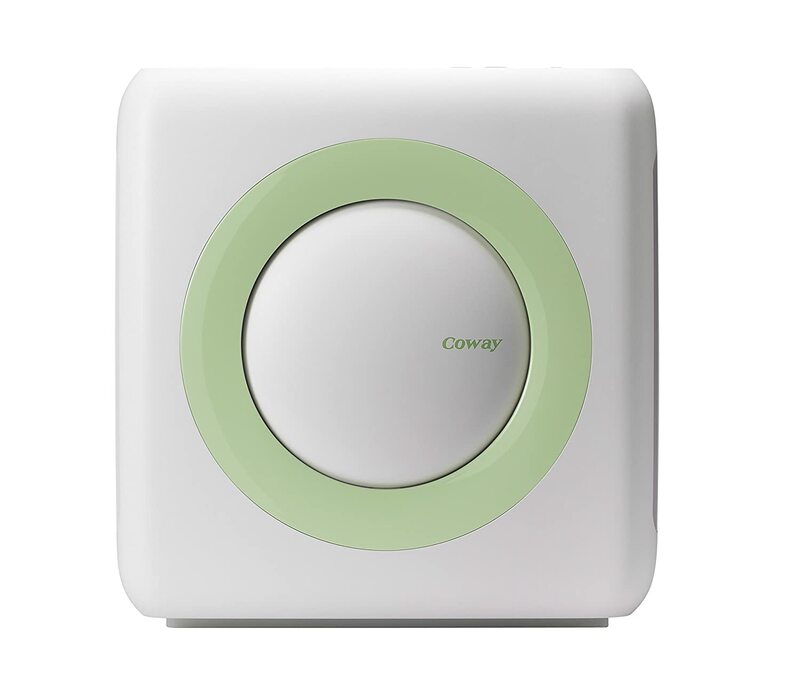 We also gave the Conway an honorable mention because of its 2-in-1 functions as both an air purifier and its use for sound therapy. Then for those people big on brand names, Dohms-DS has been around for close to 5 decades, so it gets our second choice for best buy. Truth is that your choice of white noise machine is dependent on your needs. There is no point taking our choice if you have allergies and Conway 2-in-1 Air Purifier and white noise machine can help you kill two birds with one stone. So get yours now.